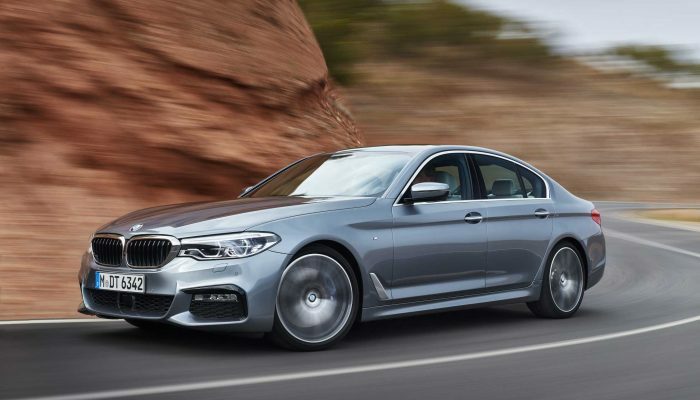 BMW has silently launched a new variant under the 5-Series, known as the 530i M-Sport. The new variant has been introduced with a price tag of INR 59.20 lakh (ex-showroom, pan India). The 503i M-Sport will be positioned above the SportLine trim in the petrol engine line-up. Produced at the company’s factory located in Chennai, the BMW 530i M-Sport features an M Sport Package that includes a front bumper with larger air vents, dual tone rear bumper with rectangular shaped exhaust tips, 18-inch M-specific alloy wheels, glass roof, LED headlights and LED fog lamps. Inside, the BMW 5-Series 530i M-Sport comes equipped with a large touchscreen infotainment system with BMW apps, gesture control, Apple CarPlay and navigation; dual zone climate control, remote control parking, BMW display key, wireless charging, 600W 16 speaker Harman Kardon music system and a 360-degree camera. Powering the BMW 530i M Sport is a 2.0-litre, four-cylinder, turbocharged petrol engine that is capable of producing 248 hp at 5,200 rpm and 350 Nm of torque between 1450-4,800 rpm. This engine is mated to an eight-speed automatic transmission with paddle shifters. Also on offer are five drive modes including Comfort, Sport, Sport+, ECO PRO and Adaptive. The model will be available in four colour options including Alpine White, Black Sapphire, Mediterranean Blue and Bluestone Metallic.